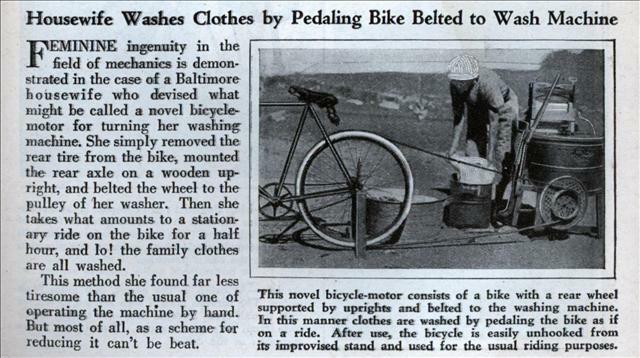 FEMININE ingenuity in the field of mechanics is demonstrated in the case of a Baltimore housewife who devised what might be called a novel bicycle-motor for turning her washing machine. She simply removed the rear tire from the bike, mounted the rear axle on a wooden upright, and belted the wheel to the pulley of her washer. Then she takes what amounts to a stationary ride on the bike for a half hour, and lo! the family clothes are all washed. This method she found far less tiresome than the usual one of operating the machine by hand. 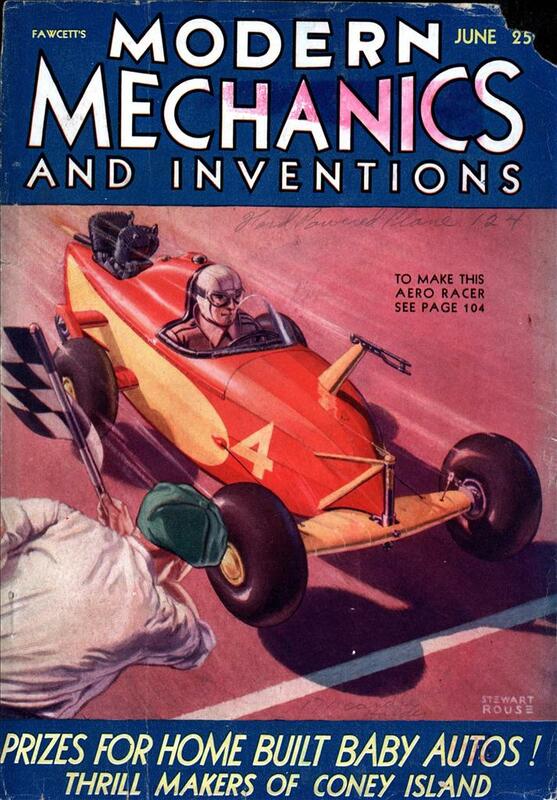 But most of all, as a scheme for reducing it can’t be beat. This is an elegant solution to beat the hand-cranking effort. It also is pollution free. This is ingenious, but given those arm muscles I don’t think reducing is too much of a problem for her. I still remember the day we got our first electric washing machine. My mother took the old hand-crank washer out and bashed it into pieces so that a) Dad couldn’t whine about her being “lazy” for using an electric washer (even though she worked at two jobs to buy the new washer herself), and b) nobody else could ever go through what she called the “torture” of using the old washer. 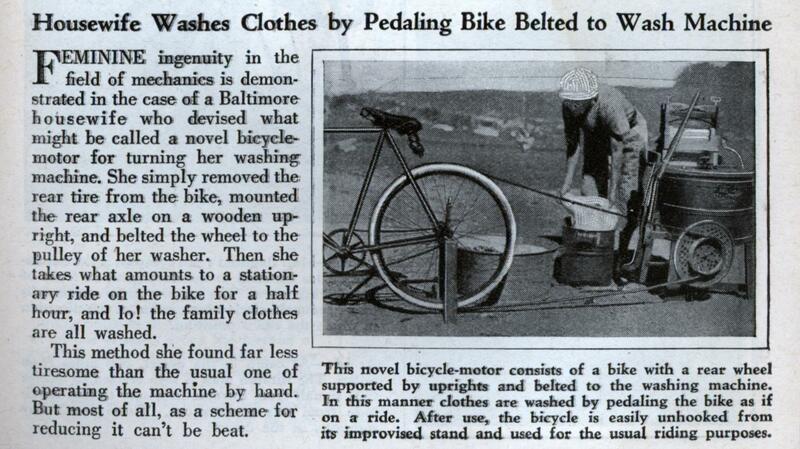 Then again, in the old days people had a lot fewer clothes than they do now. I don’t think I could get my week’s laundry done in one week with a wringer washer, even working at it full-time. They’re re-inventing this for 3rd world sustainability.